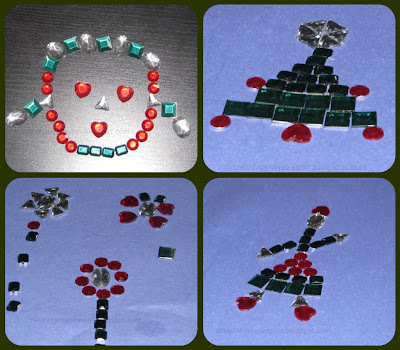 The rhinestones sequin are not very tiny, they are perfect to do Patterns/collages again and again. These are gorgeous! I'll have to check out Target! I bought a couple packs of those, but so far we've only used them to decorate gingerbread men. I'm sure my 5 year old could come up with some fun designs. Thanks for the ideas!